Federal Advisory Partners’ approach to Strategy and Business Transformation combines industry standard strategic planning and process improvement methodologies with leading practices in change management. This allows us to not only identify the challenges, but to see them through to resolution. Vision? Mission? Goals? Priorities? Strategic Objectives? Action planning? There really is no one answer, and every organization or client can, and usually does, view their strategy differently - which is where we come in. Federal Advisory Partners helps clients define their strategy using an iterative process and works with them to identify where they must focus (mission), in a given time frame (vision), how they intend to get there (goals and objectives), and the key initiatives that will govern the day-to-day work. 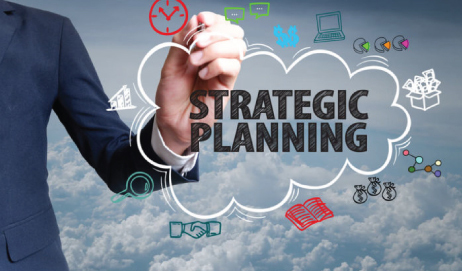 We understand that strategic planning is founded an intimate understanding of operations, business environment, and organizational goals. Our dedicated approach brings these understandings together to map out where your organization needs to go – and ultimately help transport you there. Change is never easy. When change involves a different way of doing work, requires new skills or knowledge, or a higher level of employee engagement – it usually requires a tailored approach to transformation. In order to obtain the buy-in necessary to achieve the long-term benefits of a transformation effort, you need to engage, involve, and enable the workforce. This is where an effective change management strategy will help achieve the results you planned. Many of us have heard about change management or organizational change, but struggle with its practical definition. Change Management (CM), like project management or financial management, is a professional discipline, rooted in science with a defined approach that is supported by processes, tools, and best practices. The purpose of CM is to develop a framework within organizations to engage and encourage personnel to embrace change. CM requires time, money, and dedicated resources, but when executed correctly yields powerful results. Federal Advisory Partners knows that one theory does not fit all. Our CM approach is rooted in organizational and behavioral science and incorporates industry best practices including: Kotter, Kouzes, Prosci, Patterson-Conner Commitment Curve, and Georgetown University Change Management Advanced Practitioners. The CM roadmap begins with clearly defining and articulating the need for the change, as well as the value and benefits to be achieved, ensuring executive support, and identifying what is needed to ensure the workforce is involved, engaged, and prepared for the change. 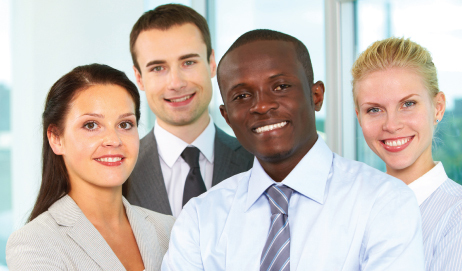 Customized solutions build upon these core elements and allow Federal Advisory Partners to design a unique path that specifically meets any client challenge.